When cooking with an Amana appliance home chefs everywhere are confident with the appealing features designed to make their cooking life more manageable. A typical gas or electric range comes equipped with a large capacity oven so that you can cook that 25-pound turkey, those vegetable casseroles, yams, and even that delicious apple pie, all at the same time. 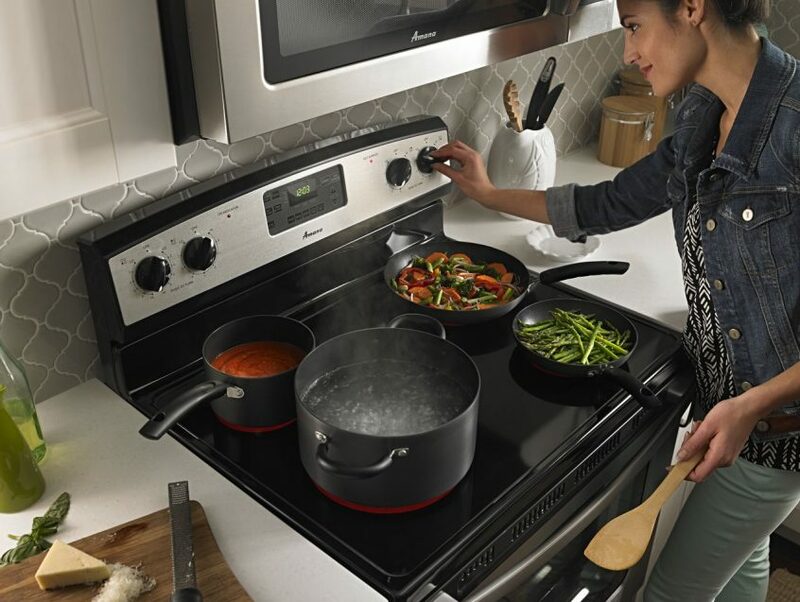 With a versatile cooktop, Amana provides more burner options for you to cook your favorite dishes. If you accidentally spill any food particles on your cooktop, no worries, Amana’s raised edge keep spills contained for quick and efficient cleanup. Temp Assure ™ evenly distributes heat throughout the entire oven so that all food cooks the way you like it. An Amana oven is a thermally insulated chamber specifically designed to heat, dry and bake food. It is usually easy to repair because components are easily dismantled and repaired or replaced as needed. Most people do not recognize the need for general maintenance for their ovens. Preheat the oven. Place food on the oven racks. Remove and eat with little to no thought given toward general maintenance. You could perform some of these tasks yourself but we would recommend using a well-trained service technician. Test the oven sensor regularly. Faulty thermostats and sensors could fail to send a signal to the burners to transmit heat. Confirm the oven door is closing properly and is not warped. If the door is not closing heat will leak out and disrupt the cooking process. Inspect the seal around the oven door. If the seal is in good shape, then suspect a warped door. If an electric oven is not heating up, consider the energy source. It could be as simple as a tripped circuit breaker, a power cord that has come loose, or a weak or burned out heating element. If a gas oven refuses to heat up, confirm all gas orifices are clean and clear of obstructions. Ensure the pilot light is working. Inspect the self-cleaning latch. If it is defective this could result in problems for the entire range. Limit the number of times you use the self-cleaning feature. Improper use of this feature can cause several problems. The self-cleaning feature gets very hot–up to 800 degrees. In the interest of safety, please stay at home when using the self-cleaning mode. Open a window or door for ventilation and wait for at least a 6-hour cool down before wiping clean. 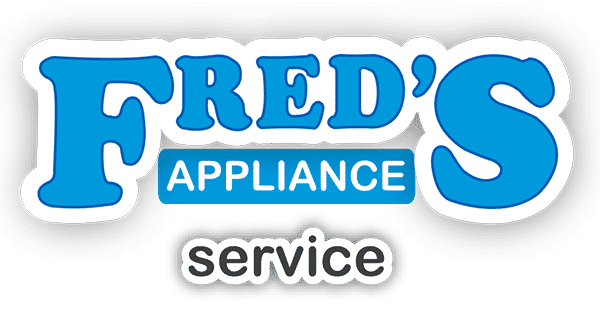 Finally, if your range is beyond your ability to determine the problem, feel free to call Fred’s Appliance at 888-453-7337 to speak with one of our friendly folks about how we can get your range working before your next meal. Preheat oven to 350 degrees (180 degrees C). Cover a rimmed baking sheet with parchment paper. It is quite permissible to use a buttered baking sheet. However, parchment paper will capture any of the melted cheeses which you can scrape up for immediate tasting. Detach the stems from the mushrooms and set aside. Thoroughly brush the mushroom caps with ¼ cup of the olive oil. Place the mushrooms round side down on the prepared baking sheet. Season to taste with kosher salt and white pepper. In a sauté pan, over medium heat, melt 3 tablespoons butter with 2 tablespoons of olive oil. Sauté the green onions until the white part is clear, about 3-4 minutes. Add the mushroom stems and raise the heat to medium-high. Sauté until lightly browned, about 8-10 minutes. Add the Marsala and boil for about 5 minutes or until just about dry. Remove sauté from heat and add the breadcrumbs, Gruyere, ½ cup of the Parmesan, the Italian parsley, the Hungarian paprika, and 1/3 cup of the heavy cream. Add more cream as needed to make a dense mixture. Place a dollop of the sauté in each mushroom cap. Sprinkle the remaining Parmesan and drizzle with a some of the melted butter. Bake until lightly browned on top, about 25-30 minutes. Serve warm. Serving Tip: Stuffed Mushrooms can be made several hours ahead of serving time and kept at room temperature. Prior to serving, reheat at 350 degrees for about 15 minutes. 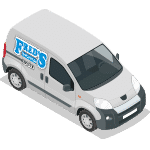 For more information on how you can keep your Amana range in good working order, contact Fred’s Appliance. We look forward talking with you.